Remember how we just finished our bathrooms… that wasn’t for us to sell, that was for us to enjoy. Andrew kept telling me that he wanted to finish off the bathrooms and I kept saying, let’s do it after the holidays because I’m tired haha. He won;) and did them and then a few weeks later is when all of the house stuff happened. I am VERY grateful he did them because it made our house very easy to sell since everything had been redone. One of the biggest reasons we moved was because they built a 3 story high school across the street from our old house. When I moved in, it was just a gorgeous field where we could see the sunset over the lake. The high school is amazing and helped increase our property value.. but once school started for the first time in August, we just weren’t huge fans of all of the traffic and late night football games that we could hear from our bedrooms:) BUT the people that moved into our house love being so close to the high school because they have teenagers. We also just really wanted to be closer to my family. 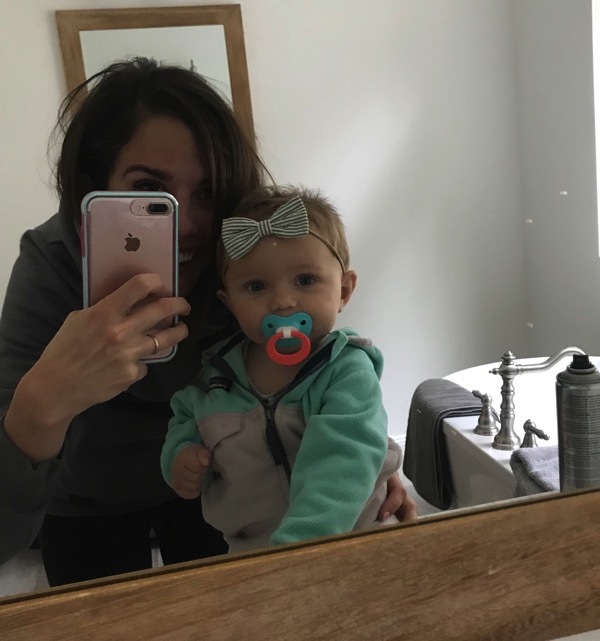 My sister sent us the link to our new house because she wanted us to come see it (and live by her;) and even though we weren’t serious yet about moving… We felt it was the right house immediately and we moved in less than a month later. It fulfilled everything on our list of needs and a growing family. Andrew and I tend to make decisions fast ha (this was even shorter than our dating process… remember how we got married 2 months after our first date?)! We are very lucky that it worked out the way it did and I’ll show you the house once we get a few more boxes unpacked. Andrew was very worried about how the move would affect my marathon but because we were so excited about the move, I think it just added to the positive vibes I had going on! I just watched him and his friends do the hard work from the comfort of the couch while on kid duty. 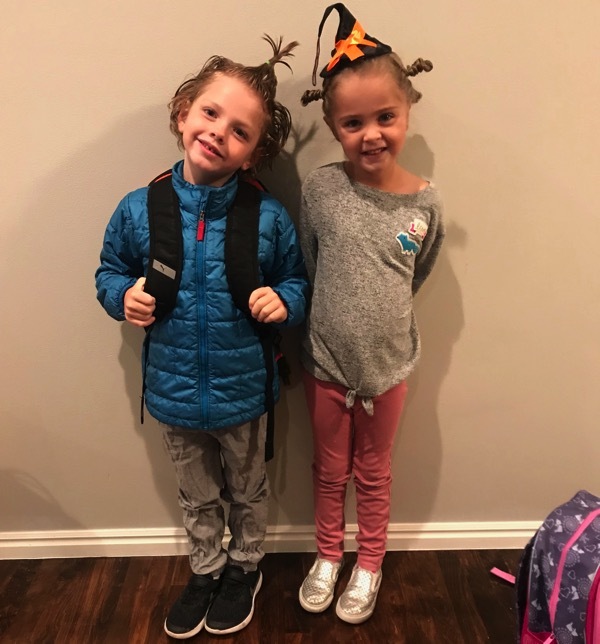 Crazy hair day for these two at school. Luckily, the kids don’t have to go to a new school either but our drive is a little bit longer but totally worth it. Skyester and I got ready to go out for a walk. During breaks from running I do miss the routine of getting out and moving but taking walks definitely fulfills that for me while I recover. Andrew had a great four mile run. While I was out walking I saw my mom on her way to do errands… the perks of living closer to family. 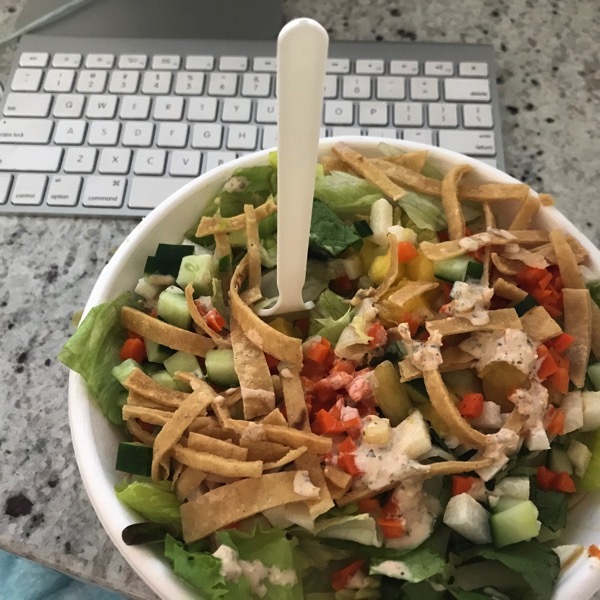 I hung out at my computer for most of the day while Andrew had Skyester and he brought me home this salad. This is our little homework and reading spot. I’ve always wanted a window seat like this so I’m obsessed with it. I don’t know what was happening but there was a lot of giggling happening. My mom came over for a bit too! PS Beretta is adjusting nicely to her new home too. 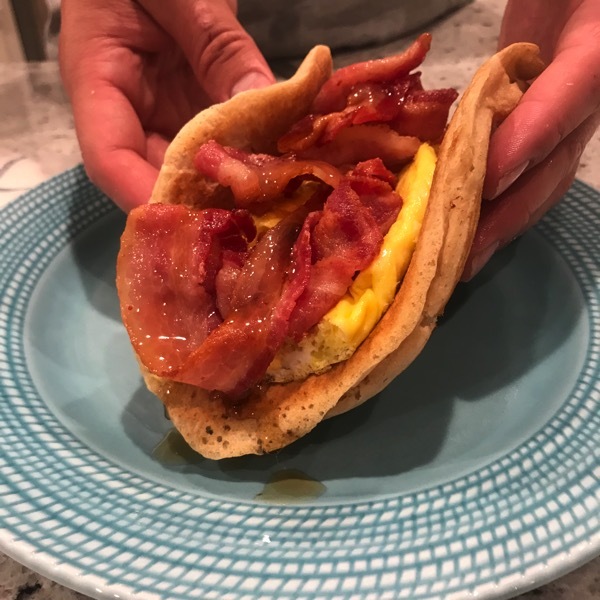 We had brinner for dinner and Andrew turned his into a breakfast taco. Time for a few Friday Favorites! 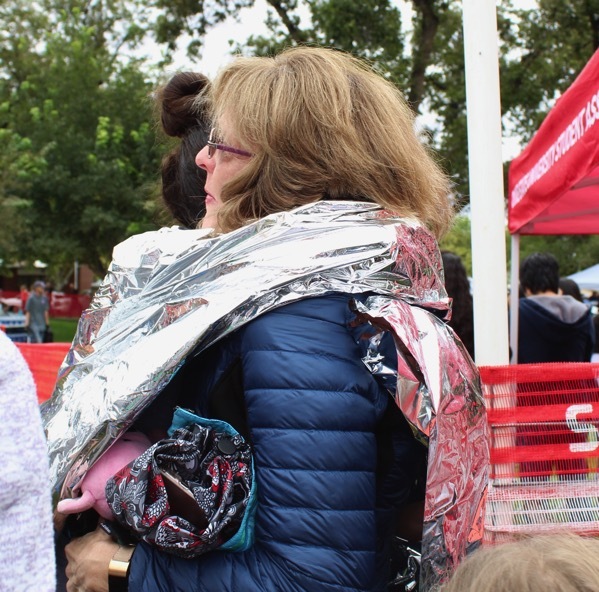 *Another picture of hugging my mom after the race. I want to relive this moment and luckily whenever I look at the pictures from that day, some of the same feelings flood in all over again. *Josse sent me this video and I loved it. 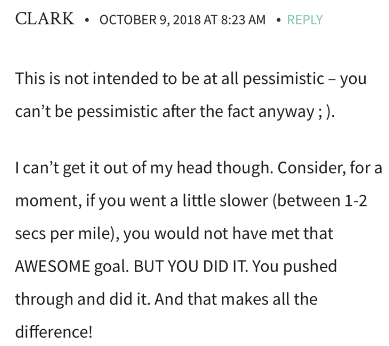 *Clark’s comment… seriously, if I just went 1.84 seconds slower per mile I would have missed the sub 3.. That was close. 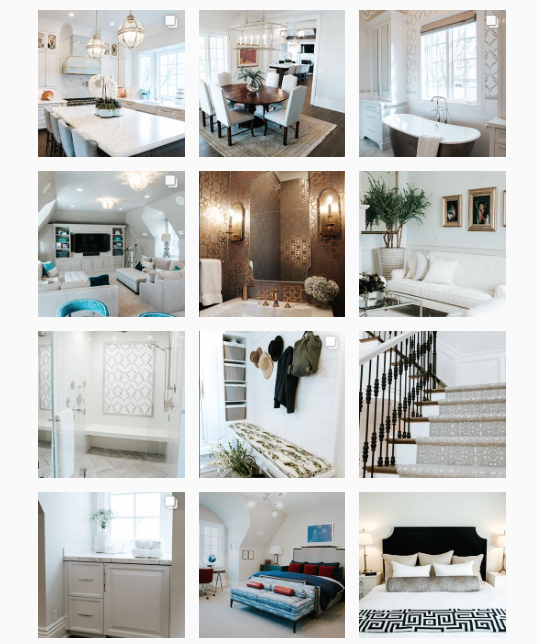 *Now that we have moved, I’ve been really into looking at ways to decorate our house and I’ve spent an unhealthy amount of time looking through completedesignbyeg (she is a friend of mine too) and she is incredible. I drool over each room that she designs. *High Hopes by Panic! At The Disco. The perfect running song. 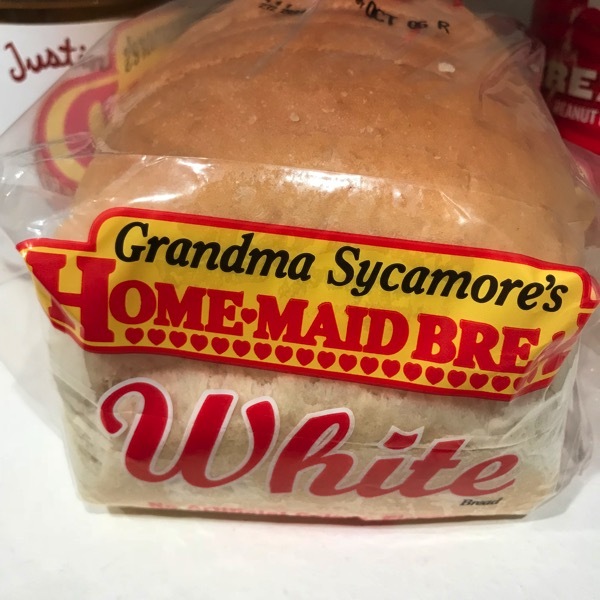 *A few of you asked about the white bread that I eat race morning (or before long runs/workouts) and this is the stuff. If you haven’t had a grilled cheese sandwich on Grandma Sycamore’s bread then you need to make sure to have one this weekend. If they don’t sell them at your grocery store then I need to ship you some. 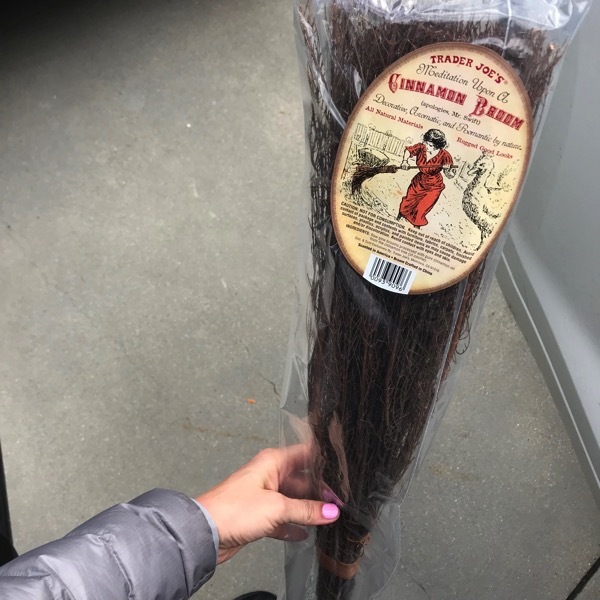 *I bought this Cinnamon Broom at TJ’s to put in our house and our entire house smells like cinnamon heaven now. 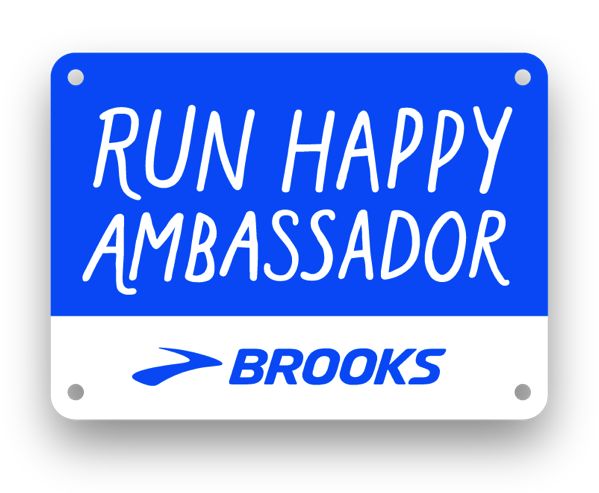 I LOVE hearing about the amazing things you are doing so if you want to share your awesome running days then send them to [email protected] . Maija!!! 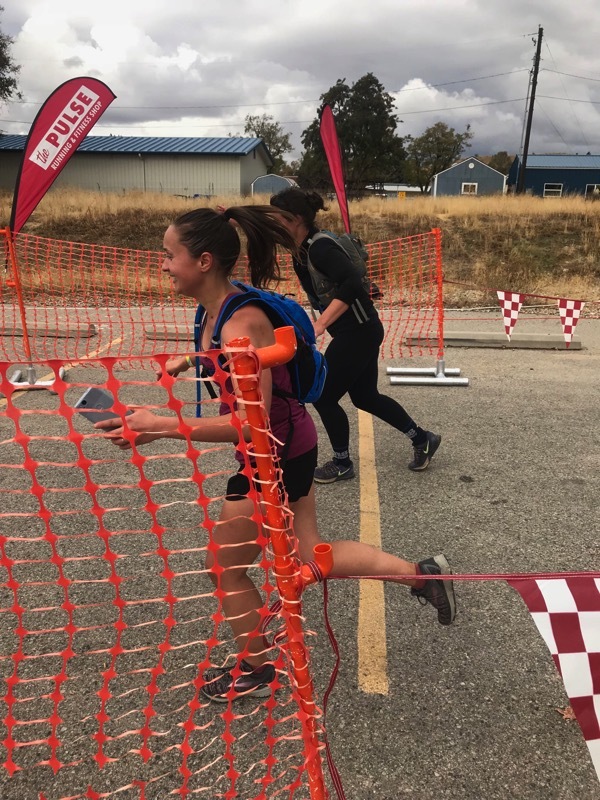 “This is me (purple shirt) running across the finish line with one of my best friends at the Foothills 50k Frenzy in Boise, Idaho on October 6th. It is one of the proudest moments of my life, but not just because I finished a 50k… Back in April, I signed up for this ultra on a whim, knowing one day I wanted to challenge myself to do an ultra and deciding this would be a great opportunity (it also had a fantastic race director who donates part of the proceeds (after swag, etc) to the program in Boise which maintains our foothill trails so I was okay with my entry fee going there even if I never showed up to the starting line). I was feeling pretty strong in my running base when I registered but had never raced farther than a half marathon when I signed up. I was also in the middle of graduate school, working full time, and planning my wedding. Um, too much? Running was basically the only thing keeping me sane, but it was a fine line between running for sanity and running obsessively. I was definitely in need of more balance because shortly after registering, I was diagnosed with anxiety and depression. I was not in a good head space for the first 6 months of the year. 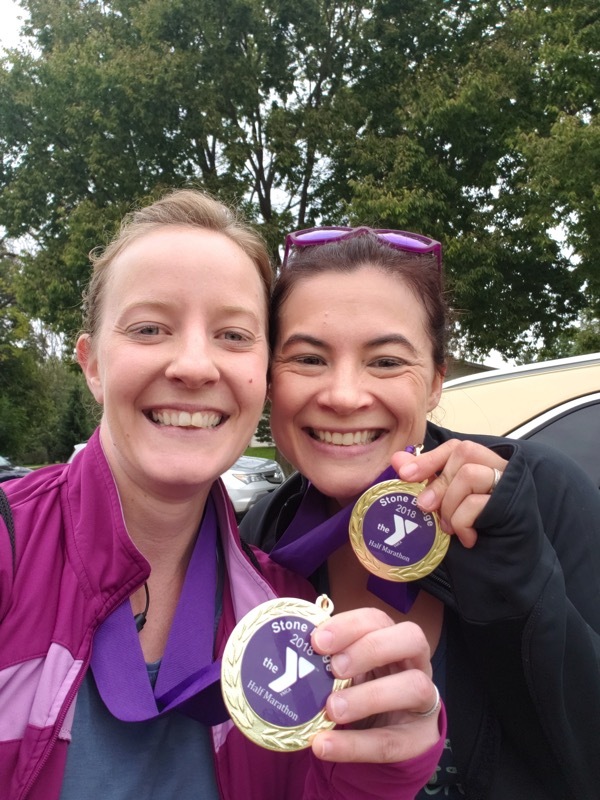 After my diagnosis, I started making changes in my life to bring myself back to a healthier and more stable place, which also meant running less. By the time the race came around, my longest run to-date had been a 16-mile flat run in June. I hadn’t done a trail run since June either but the race had over 3,000 feet of elevation gain (and loss). I had also just increased the dose of my antidepressant because I was still battling with daily symptoms of both anxiety and depression. But, I knew that I just needed to try. Like every run, it would just be putting my shoes on and running as far as I could before it wasn’t fun anymore. That was my goal for race day. Have fun. I know it probably sounds crazy but I didn’t feel as under-prepared as it might seem. I relied on the base I did have, knew how to eat to avoid cramps and stay energized, and carried plenty of water. But mostly, I relied on my intention to run the race without any expectations (not even expecting to finish!) and to make sure it was 100% fun or I would bail. And it was a blast. Have any weekend plans you are looking forward to? Have any favorite things from this week? Do you brush your teeth first thing in the morning or after you eat breakfast? My Predictions + Very Random Qs for You. Yes to Panic at the Disco’s High Hopes! I have a note to download that song this weekend for my playlist. Love that the moving worked out so well! Sometimes making big decisions like that quickly make things a little easier because you do not spend so much time talking yourself in and out of decisions. Maybe that is just me, but the more time I have to think about big decisions like that, the harder it is for me. 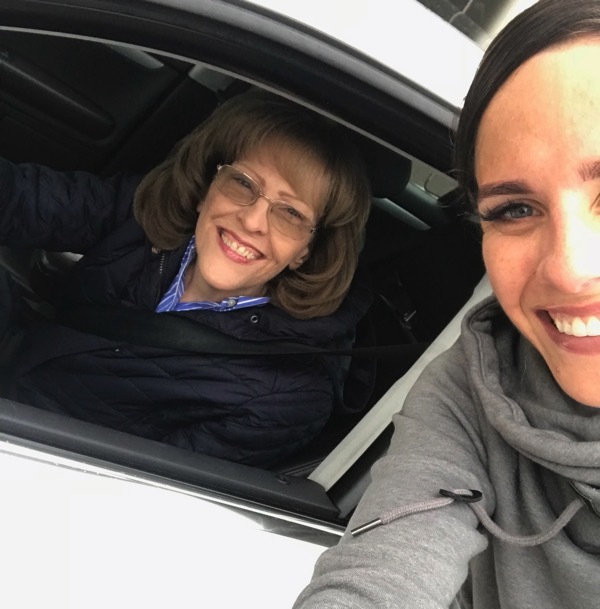 I also love that post race picture with your mom – I feel like she has been so instrumental in this sub-3 process and so happy you could celebrate with her. No huge weekend plans – just trying to take advantage of the last few weekends of farmers markets. And definitely brush teeth post-breakfast – I do not want the toothpaste taste to taint my delicious oatmeal. :) Happy Friday! I totally agree with you… sometimes you just gotta follow your heart even though talking about it endlessly seems like the right thing! Thank you so much Janelle! Enjoy the farmers market and have a beautiful weekend! Ok! LOVE the info on house, but if you are comfortable, I’d LOVE to see pics- especially KITCHEN, and BATHROOMS !!!! You all seem so happy, and yes, it’s SO nice living so close to family! YES YES YES… the kitchen is my favorite part. I will post pics once it is all put together. Thank you SO MUCH Melanie! I’m going to a John Crist comedy show this weekend, so I’m really excited about that. And beach time and football and froyo and sleep, of course. Hope that y’all have a wonderful weekend, Janae!! I am so glad that you had a great birthday… you deserve the best of the best. I wish I could have gotten froyo with you:) Thank you Natalie and that sounds like the perfect weekend! That video was awesome! I love what they said about the “dreamers of the day” making their dreams come true!!!!! Oh my, I definitely brush my teeth AFTER I eat in the morning!!! Weekend plans = resting up tomorrow for my 18 miler Sunday. Sunday = 18 miler! I am going to go to my favorite farmers market tomorrow for a lavender matcha lemonade. That drink is MY JAM right now, and I’m going to hit up a local fall fest because my favorite cupcake and macaron maker is going to be there :) Get in my belly!!!! EIGHTEEN MILES!! Oh I am so so excited for you. That drink sounds like heaven too… and the fall fest. Best weekend! I am so sorry about your cold Jen! Load up on the vitamins and I agree, take a day off… that will make the cold disappear even faster! I keep trying to peek at your house in the background of your pics and I can’t wait to see a real picture of your kitchen. And I love your window seat. Never heard of that bread. I will have to try it. I love those cinnamon brooms too. I am going to get a long run (8 miles) in Sunday morning and I get to babysit my favorite kids in the afternoon. I had spaghetti o’s and pickles for dinner. (what?) I’m not pregnant or do I have children. That was all me. I had a craving. YES… I can’t wait to show you the kitchen etc. I need to send you the bread:) Enjoy your long run this weekend and let me know how it goes! I LOVE spaghettio’s… now I want some! Panic! At The Disco is awesome–hoping to take my kids to that concert in January. I still can’t believe you moved so quickly, and I’m also still riding the high of your sub-3 (not weird at all?). We’re going to a local Renaissance Festival this weekend, which is always a good time. Strange week that felt so long, but suddenly it’s almost the middle of October. And Fall arrived this morning in Maryland, which doesn’t really make me happy. I need to move to a warmer climate!! I usually brush after breakfast. I took my kids in July. it was awesome. I love them! I’m so glad my kids like cool music. I’m disappointed that the show near me in January is during my busy season. I’m trying to figure out if i can finagle the time off. Can I just say that you guys are the cutest couple! I just love reading about your days. Now for questions 😉 are you and your sister/parents in the same ward now? And are the kids still in the same school boundaries or will they switch next year? This weekend we’re going to Jakers (?) pumpkin patch with family and then have soup in bread bowls at my sisters house, it’s a yearly tradition. Oh, and I will probably do a long run with a friend. She’s training for a half but I’m not running it because I’ll be out of town that weekend. Oh thank you so much Dorene! The kids will stick to the same school since it is a charter school the boundaries don’t matter! OH I LOVE that pumpkin patch… can I come for the soup too:) I love this tradition! Thanks Dorene, you too! I love Panic! and so do my kids. They can pretty much to no wrong. i got my 12 year old a cardboard cut out of Brendan Urie for her birthday and my 14 year old a Ryan Ross mask for hers. Have fun decorating your new house. i can’t believe you moved and ran a marathon in the same week. that’s nuts. congrats on the sub 3! that is supa dupa awesome! 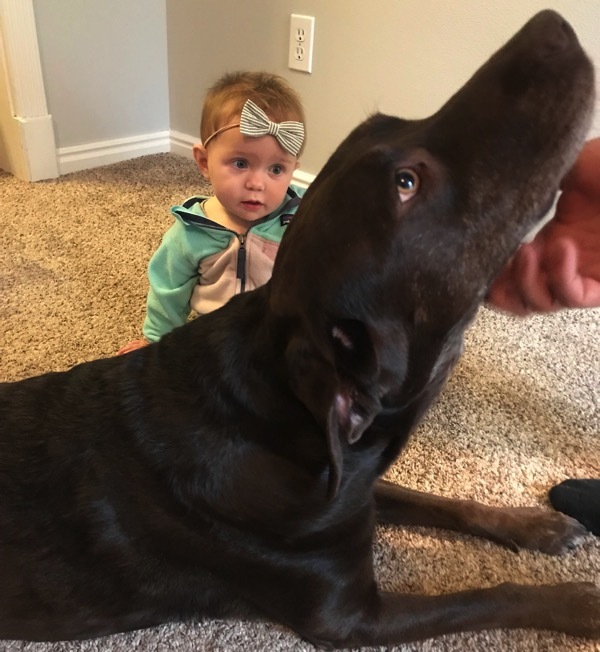 Best presents ever… I bet she was in heaven. Thank you so so much Lee! I hope your weekend is fabulous! I am daydreaming of buying a house and looking for houses right now sorted by “lowest to highest” price hahaha. Maybe in 3 more years I can swing the lowest one … Going hiking this weekend! The weather just drastically became fall at midnight last night. seriously. it was hot yesterday and woke up this morning to very cold in DC. Excited to go hiking in long sleeves after a super hot summer!!! Thank you so much Krista! Three more years… I’m excited for you. Have the best time hiking and that how it was for us… such a drastic change. Looking forward to celebrating our youngest daughter and my dad’s birthday this weekend. She and my dad share the same birthday, which makes it extra special. My mom is making buttermilk pie for my dad and a sprinkle cake for my daughter. Last night I made chicken bacon ranch pasta for dinner. I had biblestudy and my husband texted me a picture of an empty casserole dish saying they loved it. I always brush my teeth immediately after waking up in the morning. 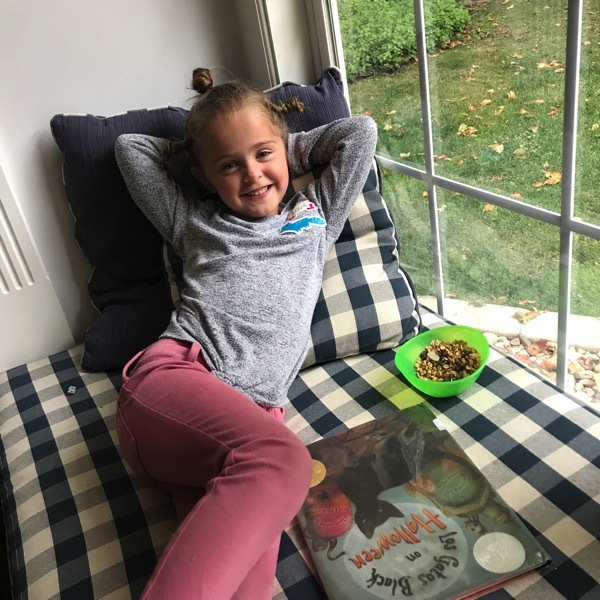 Love your homework/reading nook! I can’t wait to see more pictures of the house! Have a wonderful weekend! BDAY CELEBRATIONS= the best! Enjoy Tabaitha! I need some of that pie, cake and chicken bacon ranch pasta. That sounds amazing… send me the recipe:) Me too! Thanks! Brushing my teeth first thing in the morning is a requirement. It’s really part of how I can get myself to wake up, because almost every weekday morning I have to be up at 4 AM to get work done. No matter how exhausted I am, I am capable of walking from the bathroom (which is right by the bedroom) to my desk (across the apartment) and sitting down at my computer with a tall glass of water to get work done IF I brush my teeth and splash tons of cold water on my face and get my vitamins in right away. Last night’s dinner was burgers! Do you have a Zinburger restaurant anywhere near you? 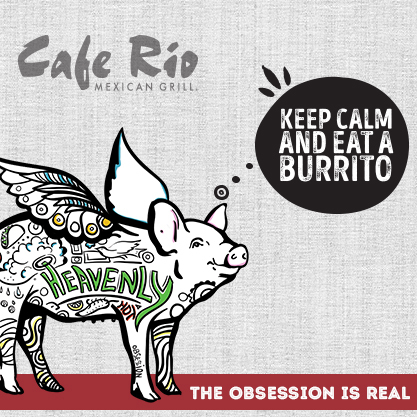 There’s one by us we often go to (and a second, totally brand new location just a few miles closer to us…). I took Tom to the mall to pick out one of his birthday gifts (he got new Sperrys!) and I had planned money in my budget to take him out for night-before-the-birthday/date-night-dinner. I had been craving Shake Shack for a couple of weeks now and I had been REALLY GOOD about my nutrition all week while also ignoring any random “I want a burger right now” cravings, but because it’s his birthday (today, actually!) I gave him a choice of Shake Shack…or the new Zinburger location that just opened up. So I had a burger, without the bun, with avocado, cheddar, bacon, an egg, and grilled onions and let me tell you it was heaven. I *resisted* the siren song of Zinburger’s milkshakes (they are luxurious and rich and sweet and amazing and among my favoritest shakes ever…and will give me serious stomach aches within half an hour of finishing one…) specifically because a ilk shake is ALWAYS a milk shake…but tonight for Tom’s actual birthday dinner at a fancy restaurant there will likely be more special desserts. I’m really proud of myself for some serious #audlting surrounding that! I hope your day in your NEW neighborhood near your dear family and feeling the mid-point of your two-week rest/recovery period is going well!!! Yes, it totally wakes me up too! We do not have Zinburger but now I need to find one asap to try! First, you did amazing at St George! I listened to your Rambling Runner podcast yesterday and every bit of your build up and overall success in the marathon is so inspiring, particularly so close after having Skye! 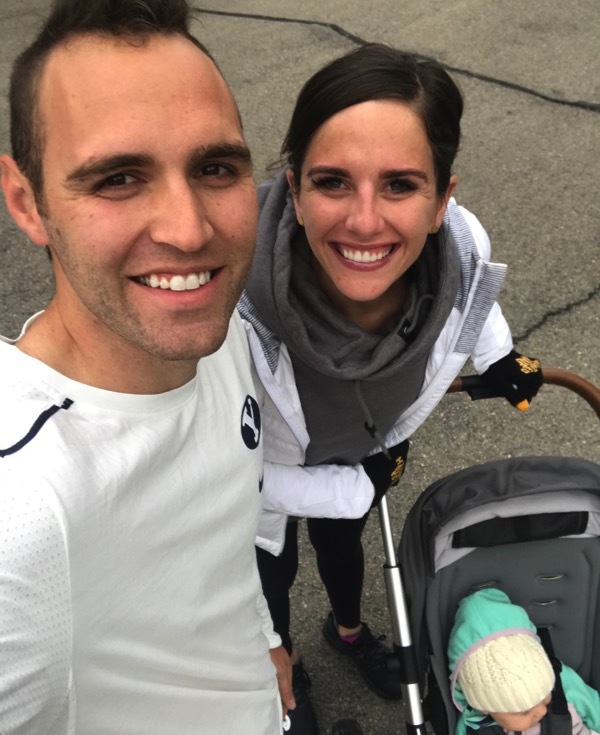 I’m 6 weeks away from having baby #3 and have high hopes of a speedy marathon in 2019, so I have loved following along on your journey to SUB 3!!! Incredible! Hooray for moving closer to family! We renovated our home in Texas last year, loved it THEN decided to move back to Arizona to be closer to family. No doubt Heavenly Father is guiding us when our original plan may have been the easier option yet he introduces a new and even better idea! Last, what stroller are you using in these pics? :) you’ve probably mentioned it before but I love the look and love how well propped up Skye looks in it. I’ve always only had a jogging stroller it’s time to expand the fleet. Thanks!!! Have a fantastic weekend and enjoy every bit of your new house! KELSEY!! Thank you thank you thank you so much. Congrats on baby #3 in just a few weeks, I am so excited for you. 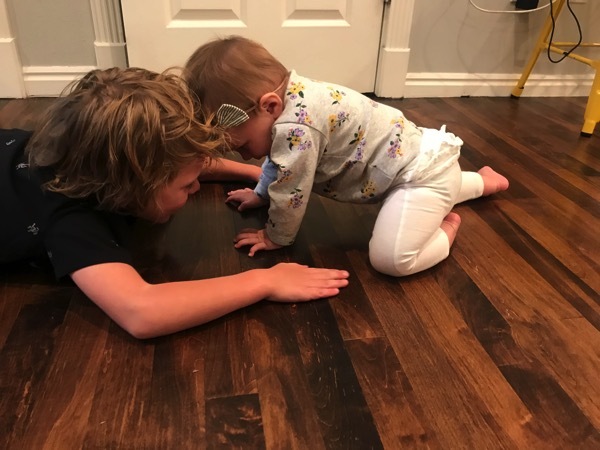 These babies can make us stronger… you will get that speedy marathon in 2019! I’m so glad you are back in Arizona with your family. I totally agree.. this move was completely guided. We have the Mutsy Igo and we are completely obsessed with it. Seriously, I’ll use it for all of my future babies too. Thank you so much! Enjoy your weekend too. I can’t wait to see pictures of your new house!! It’s finally cooled down here and we’re going to the farm tomorrow for pumpkin picking and a hayride!!! YES… they are coming soonish! Enjoy the farm tomorrow, that sounds PERFECT!!! HAHAH I know! I will get pictures up soon… once everything is put together (some of our furniture comes today wahoo)! Have a wonderful weekend Lily! I agree… she’s the greatest. I hope your day is a great one Nathaly! I have a long(ish) run tomorrow of 9 miles that I’m really excited about. The weather is finally starting to feel more like fall and that cool weather makes me feel fresh the whole run since I don’t overheat. Fingers crossed for good paces tomorrow! GO SLOAN GO!! Those 9 miles are going to feel like heaven in that weather. Enjoy and let me know how it goes! It was a great run! I did a fast finish for the last 3 miles and finished with a 7:33 pace. I didn’t want to start too fast and not be able to actually finish fast. The joy of training is getting to see what you can do at different parts of the distance! I’m hoping to PR (under 1:39) for this half and I’m 7 weeks out from today. I have a good feeling about the race as long as I stay healthy! YOU ROCKED IT SLOAN! Way to go. I can’t wait to hear about this PR in 7 weeks! Maria, this sounds like the absolute perfect weekend… soak in every second. Hahah it definitely takes me a week or two to remember how to run in the cold. I am just like you… first thing! I’m so glad you got that run in with your best friend. Running and people = the best. Thanks Maria! We also have a window seat and it’s easily my favorite place to sit in our house! It just seems so cozy but ours is in a weird location. I’m hoping when we move someday I have a place to put another window seat. When I brush my teeth depends on how late breakfast will be. If it’s going to be a late breakfast then I brush them before. That seems to be the case a lot lately. Tomorrow is my anniversary so we are going on a date! The Provo library has an escape room we are going to try. So I’m excited for that. HAPPY HAPPY ANNIVERSARY!! Enjoy the date and let me know about the escape room! 22 miles tomorrow and then I’m heading to TAPERTOWN! This is the first time ever that I actually don’t feel quite ready to taper yet. I’m excited about the progress I’ve made in the last few weeks and want to keep going! While it’s going to be tough to force myself to rest, I’m excited because this time last year I was training for CIM and was SO READY TO BE DONE. This year I actually feel super excited about running and can’t wait to hit the streets of New York! Also does anyone have a good suggestion for blisters? I’ve NEVER gotten blisters while training, but I think walking around Chicago and spectating the marathon in the rain on Sunday did my poor toes in. I have very very vey tender blisters on the bottom of my “ring” toes on both feet…which is going to make 22 miles feel even longer tomorrow. If anyone has a good remedy please let me know! Have a good weekend and enjoy settling in! I weirdly love unpacking a new house and I hope you guys do too! TAPER TIME SO SOON… I am so excited for you and all of the progress you have made. You are in such a good place this year and you will rock those 22 tomorrow. OH NO… can anyone help?! I hope they are gone by tomorrow! Thank you so much Annie! You could try putting Desitin (baby bottom cream) on the blisters. Ideally overnight but it could work during the run too. My friend is a nurse and works a lot of aid stations at ultras and she swears by it. Good luck, blisters stink! 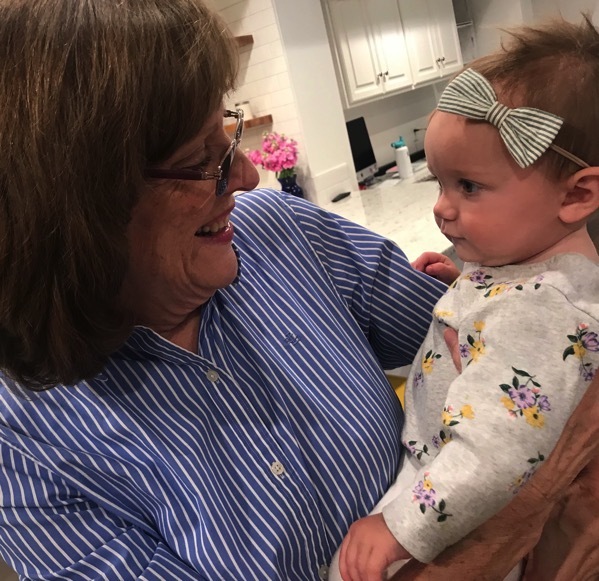 Oh my goodness that pic of you and your mom hugging made me cry! So special. When we share our goals to our loved ones they get to experience success too! And I loved one of your other posts with your family texts I saw your sissys when she said “Realy?!? !” That must have been the best for them all! 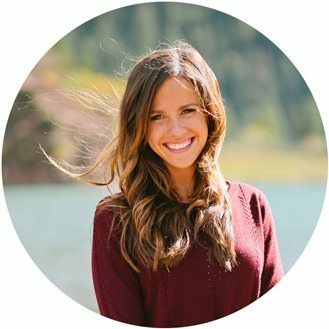 I’m pacing a half marathon this Sunday that Jordan Hassay will be at! Thank you so much Christina… yes, sharing it with people make it that much better. Yes yes yes! OH have a blast this Sunday and let me know how it goes pacing (I want to try that). I hope you see Jordan Hassay! Can’t wait to see more pics of your new home! The window seat is amazing! Hahaha I totally get what you are saying… I usually do first thing and then like an hour or so after breakfast. Thank you Katie! Have a wonderful day! Hey Janae! I LOVE your blog!! Such an inspiration to keep logging the miles each week! I have kind of a random question…do you take something or what do you recommend for joint health? My joints have been SCREAMING at me after my runs lately (knees & ankles mostly). Is there something I can take/do to help ease some of those pains? Caitlin, saw your note about joints. Sometimes it’s about eliminating something from the diet rather than adding something. One common item is dairy. There’s a lot of information out there and I hope you get some relief FAST! THANKS LEE FOR THE HELP!! I used to use the supplement Glucosamine for my joint health and I have had a few friends that have found success with that. GOOD LUCK and I hope they start feeling better soon. Keep me updated and have a wonderful weekend Caitlin! 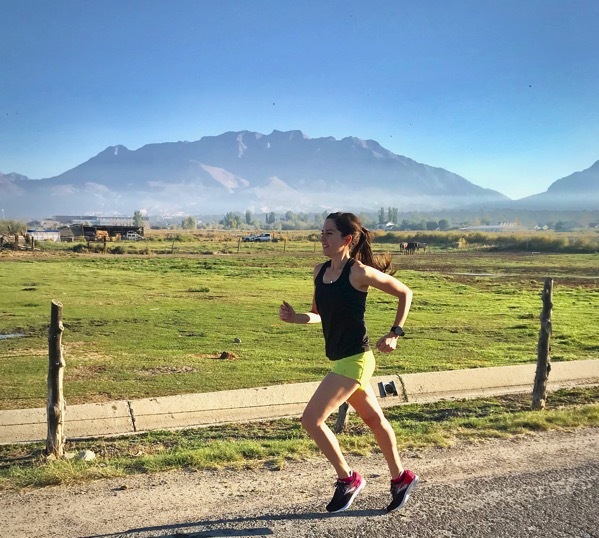 A sub 3 marathon…WOW! I camt even fathom the drive and dedication….Major congrats to you!!! This makes me so happy.. thank you for letting me know. Time to stock up. Have a great day! Oh my….I made the blog. So honored. LOL. Still amazed by your stunning achievement. Woah! I cannot believe you were able to move the same week as a marathon! I moved earlier this year in the middle of marathon training and it threw me off so much. Weekend plans= A 10K race that I’m trying to run in under an hour for the first time ever. My PR is currently 1:01 from like 5 years ago lol. I’m kind of nervous. My friend and I both follow your blog and we just ran together this week and we talked about how proud we were of you for your sub 3 marathon! AND we both cried while reading that post. Ha it’s a runner thing I guess? Congrats again though! My church just opened a new campus that we decided to change to (closer to home) and I am excited to go on Sunday! Dinner was skirt steak and leftover pizza. Random but delicious! Ugh first thing. I can’t stand “sweater teeth” haha! But then coffee and then breakfast so I don’t have a weird flavor when I eat. Hi Janae! Congrats on the marathon and the new house! I can’t wait to see pictures and I totally don’t blame you guys for moving. I remember even as a teenager always feeling so bad for the people who lived across the street from my high school because they’d constantly get kids smoking and throwing litter on their front lawn. Plus all the traffic! Defintely did not seem relaxing. And living closer to family is such an added bonus! I’m pretty sure Skye is getting cuter with every picture you post of her. And I love Brooke and Knox’s crazy hair! I’ve always brushed my teeth right when I wake up/before breakfast. It’s just easier for me. This weekend is cold so far here in MA (which I’m not complaing about) and I don’t really gave any plans! Hope you guys have a fun one!